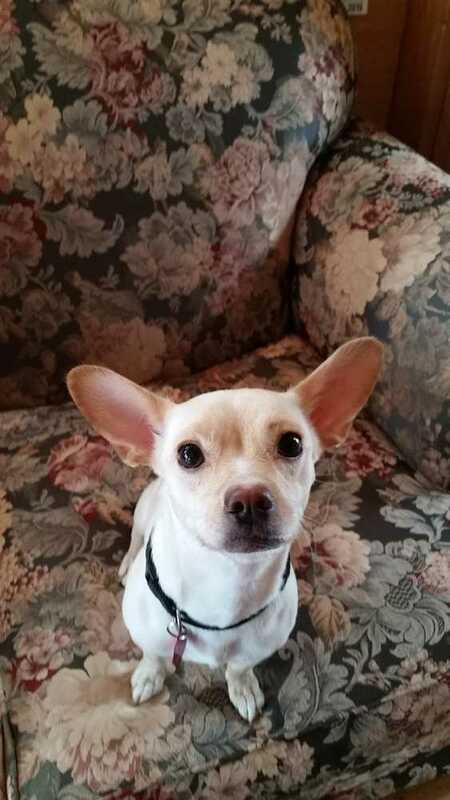 Butter is approximately a one year old chihuahua, in Bellingham all the way from central California. She is super sweet, smart and affectionate. She can be a little on the timid side when in new situations but with a some reassuring, warms up quickly. As a young dog, she is quite playful and gets along well with other dogs. She is a lapdog extraordinaire and likes nothing more than to snuggle with her people. She is wary of small children and will do better in a home of adults or near adults. She is spayed, is up to date on all of her shots and has been microchipped. If you would like to meet Butter, please fill out a statement of interest on the alternativehumanesociety.com website.